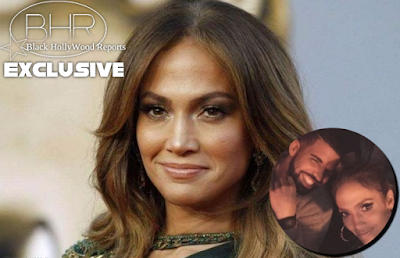 Speculations Has Been Spreading That J Lo (Jennifer Lopez) And Drake Are Dating !! (Jennifer Lopez) And Drake Are Dating !! BHR Hollywood Reports......Jennifer Lopez and Drake cuddled up Tuesday night, seemingly confirming their romantic status. The 47-year-old singer and the 30-year-old rapper shared the intimate moment on Instagram. However, neither star included a caption, leading fans to speculate about the duo. Neither star should expect to receive a "like" from Rihanna, as the she's unfollowed them both. J.Lo and Drake, meanwhile, still subscribe to the 28-year-old "Needed Me" singer's Instagram. While Drake and J.Lo have yet to comment on the photo, a source revealed "They are seeing each other," adding that it's "not exclusive," but that Drake "is really into her... They have great chemistry." Perhaps the two will ring in the New Year together, as Lopez recently canceled her show at Miami's E11even nightclub. Per her rep, Lopez wanted to focus on "personal and family time." Lopez, who split with choreographer Casper Smart earlier this year, recently took some time to reflect on her personal and professional accomplishments. "I have a ritual every year once everyone is asleep," she wrote on Instagram. "I like to go sit by the tree and think about the year that just went by. Check in on how I feel right in that moment about everything in my life." "The magic of the sparkly tree always takes me away into my thoughts and feelings...and this year I can honestly say my heart is full," the "I Luh Ya Papi" singer wrote on Christmas Eve. "This year had its ups and downs but as I sit here in my living room w my coconuts sleeping soundly upstairs, all of us healthy, a house full of family and friends, I feel surrounded by love and overflowing with gratitude for the many new blessings in my life!!! Merry Christmas everyone."